Bonsai is living sculpture. Unlike traditional sculpture however, it changes from day to day, season to season, and year to year. Because it is never finished, it celebrates all of nature: its cycles, its harshness, its resilience, and its balance. Bonsai is for people who enjoy art, nature, trees, gardening, and sculpture. It combines the principles of design with the science of horticulture. Students in this workshop will create a bonsai from a dwarf shefflera, which is an indoor plant in Wisconsin. 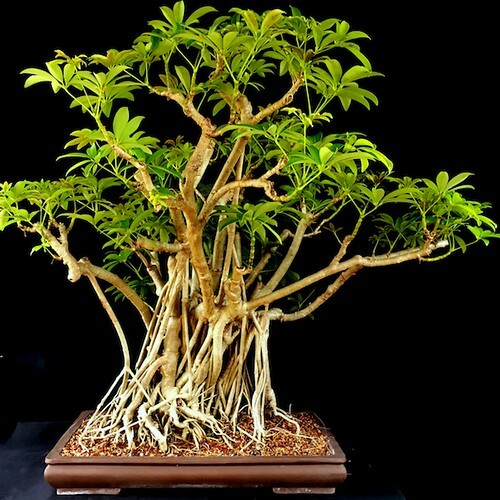 In the class, you will design your bonsai and transplant it into a ceramic container. If you wish to document your tree’s progress, bring your camera. We will be repotting so bring an apron or wear appropriate clothing. This is a hands-on class in which you will learn the basic principles and techniques of bonsai design, and how to work in harmony with nature. You will return home with the bonsai that you created in the class, and a new appreciation for the world of trees. Learn more about Bonsai at Lynden here.